This is a print showing the view out to the Moray Firth from the days before the camera. This has been taken from William Daniell's "A Voyage Round Great Britain" - a series of 308 coloured aquatint engravings published in parts beween 1814 and 1825. 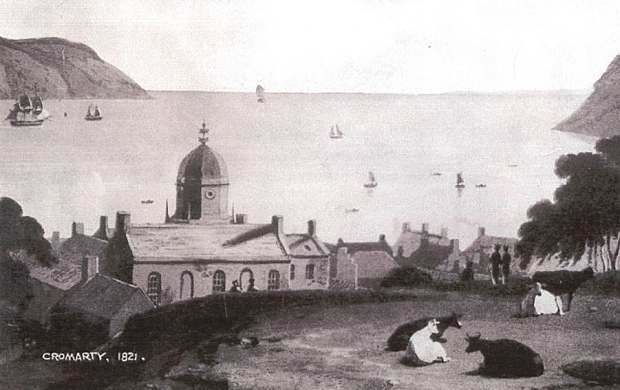 The Cromarty view, here shown in monochrome and much cut down, was published 1st June 1821. The original copperplates for this finest of topographical colour plate books of the 19th century are now in the Tate Gallery.